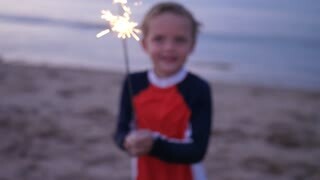 Search Results for "child sparkler"
Happy boy with a Sparkler near beautiful decorated Christmas tree. The child is holding a Sparkler fire that is not on fire. Rear view of cute long brown hair little girl enjoying the fire sparks of bengal lights over Christmas tree background. 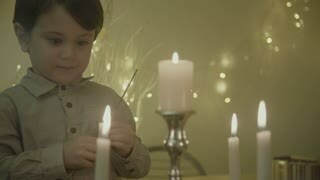 Happy child holding burning sparkler indoors during winter holidays. Two small children, a brother and a sister, sit on the floor near the Christmas tree with sparklers. Two happy children near a Christmas tree with Bengali lights. Child watching a fireworks, sparklers. Portrait of a happy mother with a small child near a Christmas tree with sparklers on new year's eve. Family celebration of the new year.